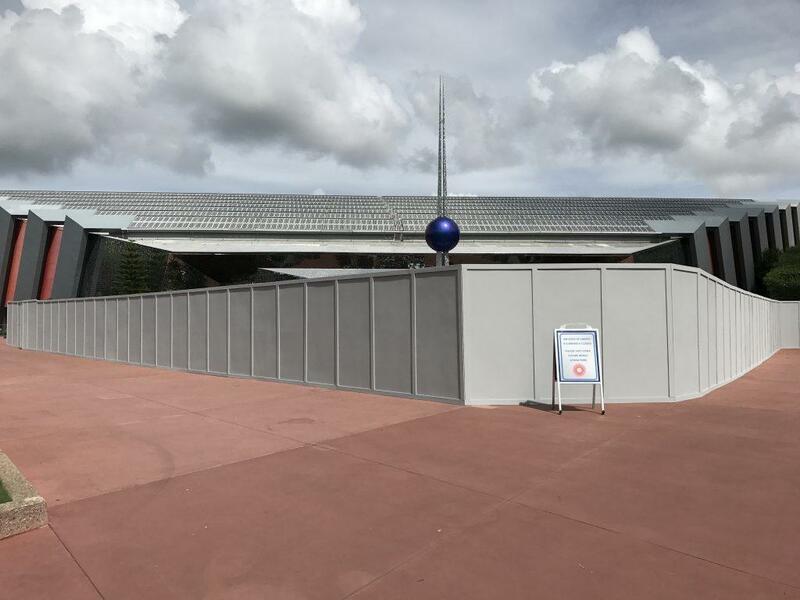 Construction walls now surround the former Universe of Energy Pavilion at Epcot. 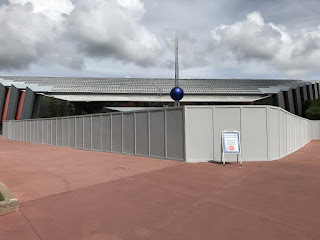 Much of the original Universe of Energy Pavilion will be used as queue and pre-show space, with a new ride building set to be built behind the Wonders of Life pavilion. Much like Rock 'n 'RollerCoaster, the separate ride building will house the actual rollercoaster ride, linked to the original building by a launch tunnel. Guardians of the Galaxy is speculated to open around Spring 2021. 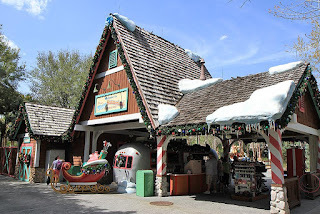 The Summer Course at Winter Summerland Miniature Golf is now closed for refurbishment. The Summer course refurbishment is planned for October 9 through to November 10, reopening to guests on November 11, 2017. Later, the Winter course will close on October 23 through to November 10, reopening to guests on November 11 2017. Disney's Fantasia Gardens miniature golf will remain open as normal during the Winter Summerland refurbishment. Disney will be beginning a series of room refurbishments at its Port Orleans Resort - French Quarter in early 2018. The refurbishments will begin January 6, 2018, taking place on a building-by-building basis, through to the end of May 2018. The soft goods refurbishment should see a refresh of the bed linens, flooring and curtains - along with the inclusion of some updated technology, like TVs and USB chargers. The resort's amenities will not be affected, and work will be carried out during the daytime to minimize impact. Disney launches new vacation gifting site GiveDisneyVacations.com. As a special introductory offer, available now through November 15, 2017, you can purchase a special Walt Disney World Resort package for any time during the 2018 calendar year. The package consists of a 6-Night/7-Day room and ticket package at one of Disney's All-Star Resorts for $96 per person, per night. The resort package will be delivered in a special holiday gift box, and delivery is guaranteed before December 15, 2017.
upcoming ABC Holiday Specials to air on ABC and Disney Channel. Filming at Walt Disney World will take place November 3 - 7, 2017. Like last year, no parade will be filmed at Walt Disney World, but stage show performances including musical acts will be filmed in Florida. The parade will be filmed at Disneyland Resort in California. Disney has announced that Star Wars: Secrets of the Empire Hyper-Reality Experience will open December 16, 2017 at Disney Springs. The 30 minute experience will operate from 9:00 am to 11:45 pm daily, with tickets priced at $29.95 and available now at The Void.